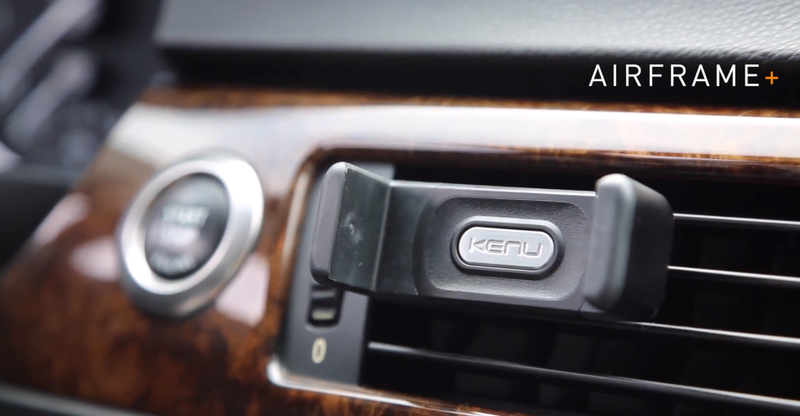 Last year we told you about the Kenu Airframe, a minimalistic phone mounting solution for your car. The Airframe supported devices up to 5-inches in size. The vent mount works great with any smartphone and is one of the more popular car mounts out there. So what do you do if your smartphone measures more than 5-inches like the new iPhone 6 Plus? Enter, the Kenu Airframe+! Apple released the iPhone 6 Plus a few days ago. The 5.5-inch device has one great feature that makes it one of the best devices to mount on your dashboard: landscape view for the homescreen. Which means, when you rotate your device to landscape view, the icons on the homescreen orient in landscape view too. Exactly like the iPad or iPad Mini. The iPhone 6 and others don't support this view. The simulated image* on the top of this post shows what the iPhone 6 Plus will look like when mounted in the car. To accommodate the large 5.5-inch device, Kenu makes the Airframe+, which supports larger devices. 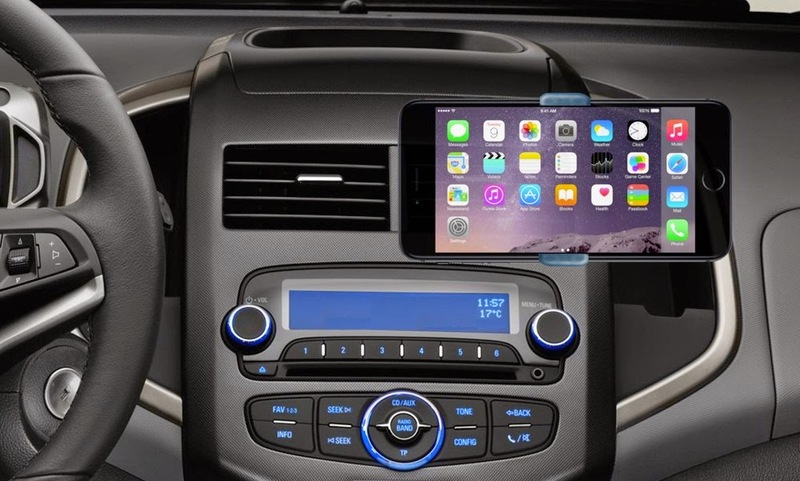 It retains a similar minimalistic form factor as the Airframe and is perhaps the perfect way to mount your iPhone 6 Plus or similar sized smartphone in your car. *Note: Top image is simulated and may not represent exact scalable sizes or colors.